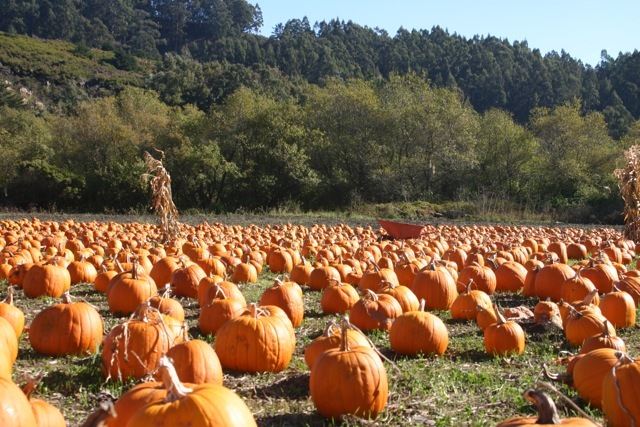 Fun, sunny day in Half Moon Bay, which is famous for it's pumpkin festivals. 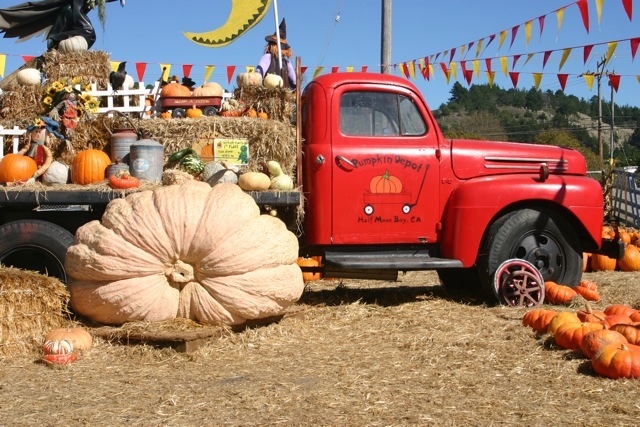 California's biggest pumpkin in history. Did I tell you someone stole the pumpkin off our porch? Bummer. 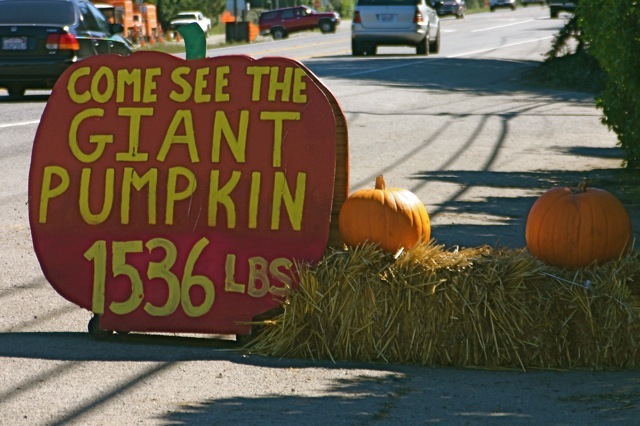 I just saw a show on PBS about these huge pumpkins and the people who grow them. It was called Lord of the Gourds. I would have liked to see them in person. One weighed over 1200 pounds. That would be one big jack o' lantern. Great pics, Mad. 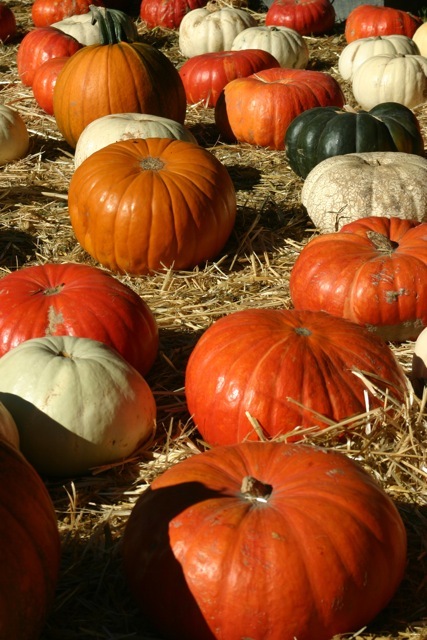 I love the colour, the shape, the form, the smell and everything about pumpkins. 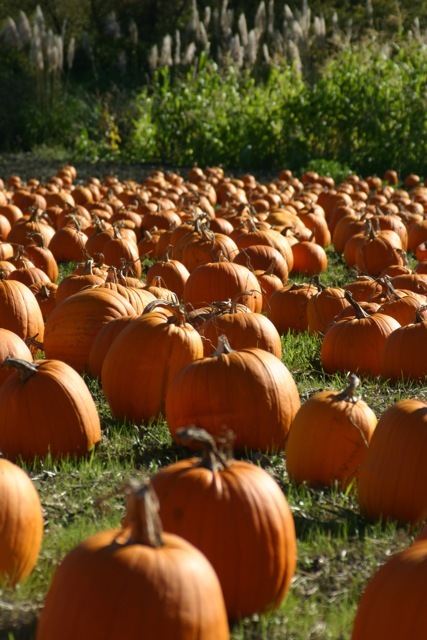 When I lived in UK as a kid, I don't think I ever saw a pumpkin. We didn't have Hallowe'en. Or pumpkins. Oh i wish i had saved my friends pumpkin that they entered in the great pumpkin. I think last year they came in 3rd place. 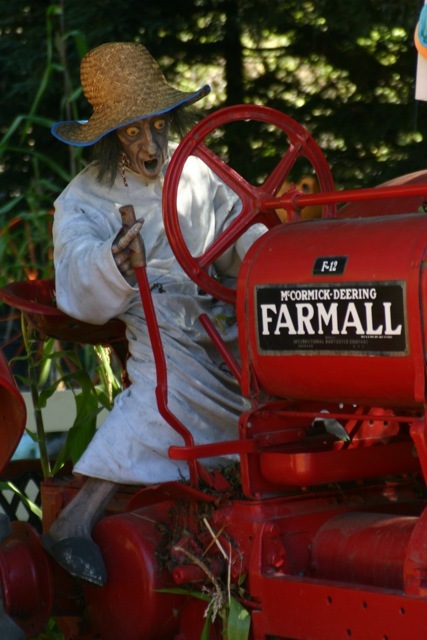 They live in Morgan Hill. Are you far from there ? I love pumpkins and orange and autumn...just beautiful!